Sauternes is a famous sweet wine from the Bordeaux region of France that is widely considered to be one of the greatest sweet wines in the world. It has become recognised as a very good cask type for whisky finishing and often adds flavours of honey, apricot and white grapes. 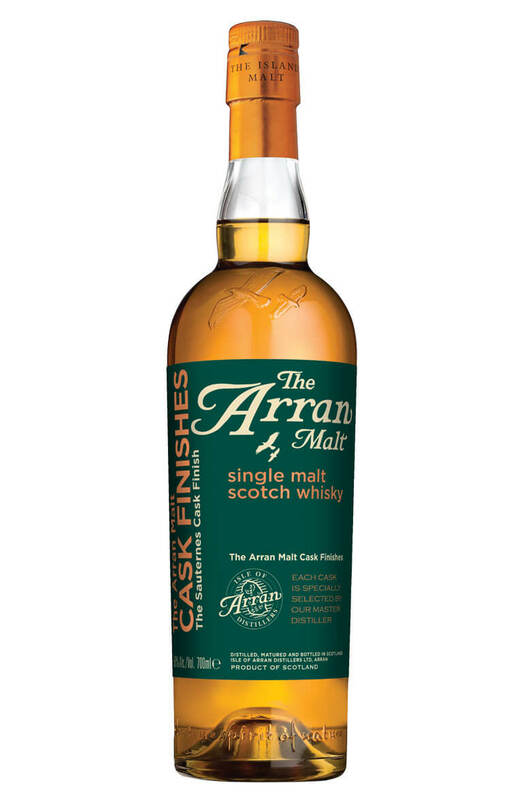 For this Arran it has added a lovely, lemony freshness along with hints of vanilla, apricot, marmalade and honey. Types of Barrel used for Aging Aged for 8 years in 'traditional' whisky oak before being finished in sweet Sauternes wine casks.